Richard Leese, the leader of Manchester City Council has pushed his dreams of turning Manchester into another Barcelona unceasingly. This is despite the fact that Manchester has high unemployment and a number of children in poverty. He has continued with his policies which only benefit multi-national companies and starve the City of any real inward investment. I wonder if he has bothered visiting Barcelona again, to see the unfinished buildings and the blight the City is now suffering from? Has he not noticed the unfinished buildings here in Manchester, the empty office blocks and empty retail units. Then there is the EU grants which cannot be fully accounted for and the EU may want to claw back. Reading an article about Catalan, of which Barcelona is the capital City on the Share Centres web-site. I started to wonder if we were heading the same way as Catalonia? But then there is the problem of local government debt. Catalonia is a wealthy region. Perhaps you could say that the region is to Spain, what California is to the US. And it has one other thing in common with California – it carries enormous debts. Its President Artur Mas displays all the hallmarks of a troubled man. On Friday, he said at a press conference: “We don’t care how they do it, but we need to make payments at the end of the month. Your economy can’t recover if you can’t pay your bills.” This year the region has to refinance 13 billion worth of euros. But how? The citizens of Catalonia do their bit, but, according to Reuters, a quarter of their savings are already in patriot bonds, and that source of funding is now dry. The region could turn to the banks, but, again using Reuters as the source, the region next door Valencia paid out 7 per cent interest on a six month bank loan recently. And that is not really affordable – or so we are being told. But Catalonia is just one of 17 regions. Last week Moody’s downgraded the rating for Catalonia, but also downgraded three other regions: Murcia, Andalucia and Extremadura. In all, the regions that make up Spain have to re-finance around 36 billion euros of debt this year. Mr Mas wants to see central government underwrite loans to the regions. But this is the scary thing. It is generally agreed that Spanish house prices have further to fall. And with unemployment running at nearly 25 per cent of Spain’s labour supply, how can further falls in Spanish house prices not result in more defaults, more bad debts, more bank losses, and the need for even more bail-outs? How can Spain possibly manage such a situation? Only through getting many more of its work force into productive jobs can this problem begin to be fixed. But too high a proportion of the workforce only has experience working in construction, and the Spanish construction industry is not likely to recover for a very long time. Please find enclosed a copy of the reply I have received from the Department for Communities and Local Government about the forthcoming regulations under the Sustainable Communities Act 2007. Clearly we need to keep pressure on the Government on this. Thank you for your support on various issues but I am very concerned about the very long and ongoing delay to the required Sustainable Communities Act regulations. This delay has now been going on for over nine months. Only when these regulations are made can people get involved in the ‘bottom-up’ process of the Act and use it to help local shops, services and communities. It has been shown many times, especially in countries like Austria and Denmark, that 'grass-root activism' has a far better success rate than 'top-down' initiatives. The longer this delay goes on, the greater the risk that the initial enthusiasm for the Act will turn into cynicism and disillusionment. Please could you write to Communities Minister, Greg Clark, urging him to make the Sustainable Communities Act regulations urgently? Thank you. management of Sustainable Communities Act proposals and appeals. We hope to make the regulations within the next few months . At last, some of the International Community is taking some action against Israel, not enough but a start. CAIRO, (PIC)– The general assembly of the World Health Organization (WHO) on Friday adopted unanimously a draft resolution submitted by Arab countries including Saudi Arabia condemning the Israeli blockade on the Gaza Strip. The assembly approved the resolution with 56 votes in favor, six against, 48 abstentions and 72 absent. The resolution called on the Israeli occupation authority to immediately end the closure it is imposing on the occupied Palestinian territories especially at Gaza crossings, which caused a serious shortage of vital medical needs, and to reverse its policies that led to the deterioration of the health conditions of Palestinians and rendered many of them dead. The resolution also demanded Israel to end its restrictions on the movement of medical personnel, vehicles, and patients and to enable them to reach health institutions in occupied Jerusalem and outside it. My thoughts on Manchester Climate Monthly’s recent article on Manchester Metropolitan University. Besides saving money, what are the reasons MMU is taking green action? Money isn’t actually the top priority for us in terms of sustainability – it’s our corporate social responsibility. We are an organisation that devotes it self to the next generation and we think it’s absolutely incumbent upon us to be responsible in the way we operate and look at the way that we function from everything from the amount of chemicals the cleaners use to me pulling down the blinds when I leave that this room is bearable the next day to the way we operate our labs. It’s about being part of the solution, I guess. With all the evidence from the USA and Australia, you would of thought our politicians would have banned this nonsense. But no, they believe this will be the answer to or energy insecurity, business as usual. This will result in a massive environmental catastrophe which will not be possible to remedy. A recent presentation by the owner of UK fracker Cuadrilla reveals the company plans to inject tens of thousands of gallons of Hydrochloric Acid (HCl) into its frack sites in the UK. The presentation – by AJ Lucas, 42% owner of Cuadrilla – reveal that Balcombe can expect sixteen thousand gallons of HCl to be pumped 800m under the village. Hydrochloric acid is typically used neat – its main function is to clean the tiny spaces between subsurface rocks at the start of the fracking process. The presentation shows that of the fluids Cuadrilla intend to inject underground, 0.125% will be HCl (see p 21 of the presentation). A typical well uses 12.8 million gallons of fluids (based on 1.6 million gallons per frack and 8 fracks per site). For Balcombe this would mean a total of 16,000 gallons of pure hydrochloric acid forced into the ground. Another report emphasizing the real reason companies are pushing t o build biomass plants. They are not carbon neutral nor are they clean and green. 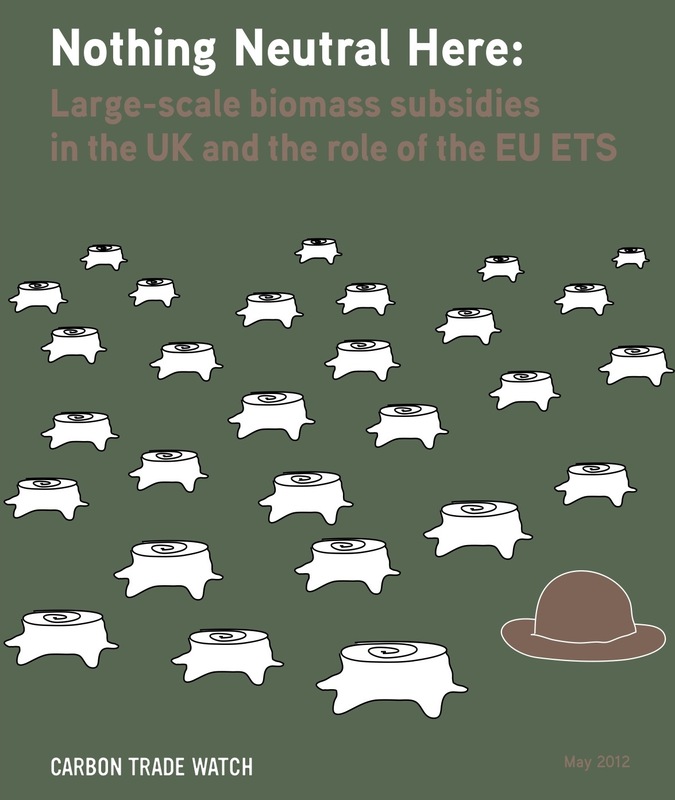 A new report from Carbon Trade Watch shows how the massive push by government and industry toward biomass power generation (and the subsidies it receives) is based on the erroneous believe that biomass produces no emissions or is low-emission. As the report makes clear, this is nonsense and in addition to emissions throughout the supply chain that put biomass on a par with fossil fuels, the rush to biomass in dedicated power stations or to co-fire with coal is creating new genetically modified monoculture tree plantations and is increasing deforestation in some of the most biodiverse parts of the planet. With a demand for biomass in the UK predicted to be 80 million tonnes burned each year, and the UK stock only 10 million tonnes, now is the time for urgent action to stop industrial biomass power generation before it’s too late. An article which exposes the Koch brothers involvement in Canadian Tar-Sands and their attempts to ridicule climate change. Koch Brothers’ Activism Protects Their 50-Year Stake in Canadian Heavy Oils | InsideClimate News. A pod-cast about tax avoidance via tax havens such as the UK. It explains quite simply how large corporations avoid paying tax and point out the UK is one of the largest tax havens. Insight, debate and campaigning news from ActionAid :: ActionAid UK. An article from John Broderick from the Tyndall Centre raising awareness that to combat Climate Change, we urgently need to reduce our energy consumption and how we use that energy. Something the Government and Manchester City Council do not seem to understand. Manchester City Council continue to let property developers build to the lower energy efficiency standards and ensure they include measure like rain water harvesting and grey water recycling. Walk around Manchester after midnight and see all the wasted energy from unnecessary lighting on, in buildings and outside them. The profusion of illuminated and automated advertising hoardings. And yet, the Council still talk about their ‘Manchester – A Certain Future’, without taking any real action. New Statesman – Acknowledging the scale and urgency of the challenge we face.